Cut 97/43cm (38 /17 inch) of your fabric and stitch the seams to secure two shorter edges. Fold, leaving 15 cm (6 inch) margin on the bottom part. 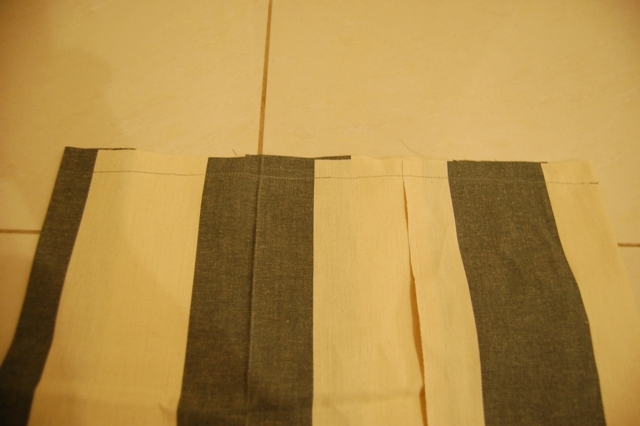 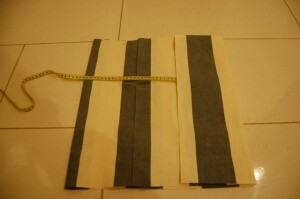 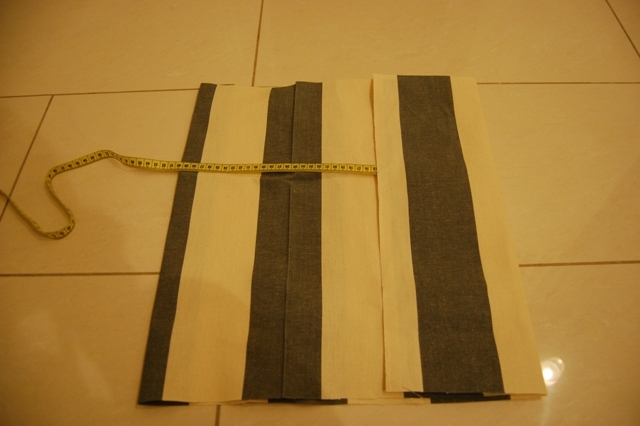 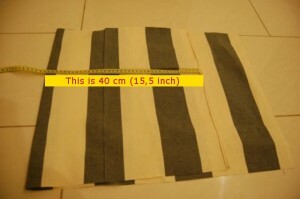 Sew on both sides adding a 1,2 cm (0,5 inch) seam allowance (only one side is visible on the picture below). 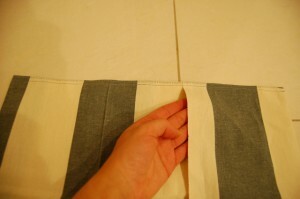 Trim the seam and stitch a second seam just big enough to cover the raw edges. 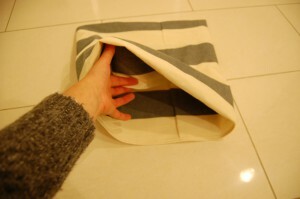 Now, turn the pillow right side out. 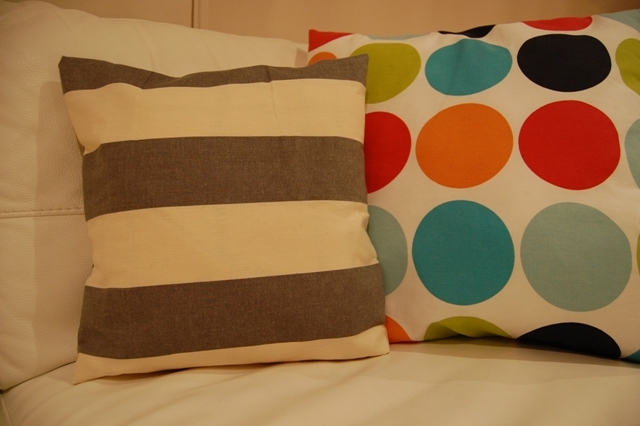 Your pillow is ready to be stuffed. You can also decorate your pillow if you want to add a touch of personalization.